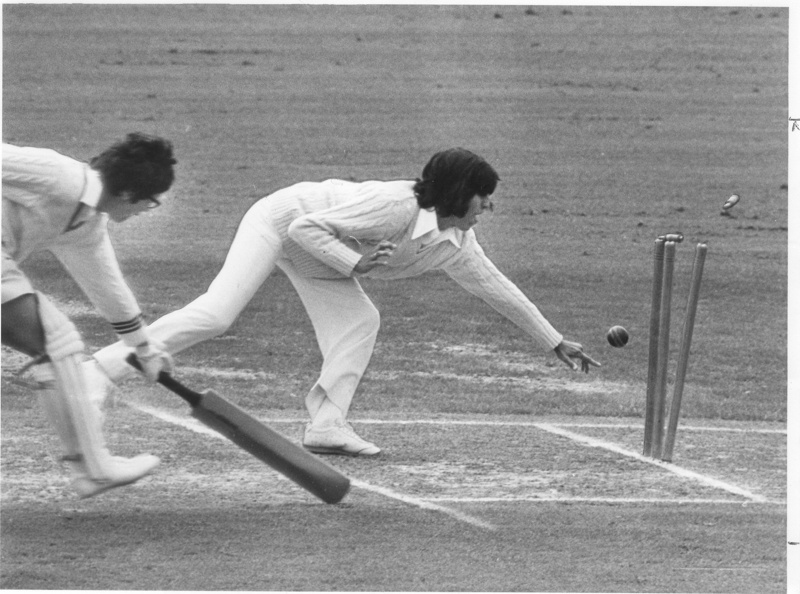 About this objectTrish McKelvey being run out, New Zealand v India Test, Carisbrook 1977. Inscription and MarksWomen N.Z v I 1977. P McKelvey run out 19/1/77. First Innings of Test.